According to the coroner of South Australia, a 72-year-old former member of the Australian national men’s soccer team died a “horrific” and “macabre” death after his urinary bladder catheter was connected to his oxygen supply. His bladder then filled with oxygen until it burst. As the oxygen continued to flow at 2 L per minute, the resulting tension pneumoperitoneum caused his diaphragm to rise and eventually collapse his lungs so he could not breathe. The photo of an x-ray below illustrates what occurred. It is not an x-ray of the Australian patient, but the findings are similar to what would have been seen if an x-ray had been taken. 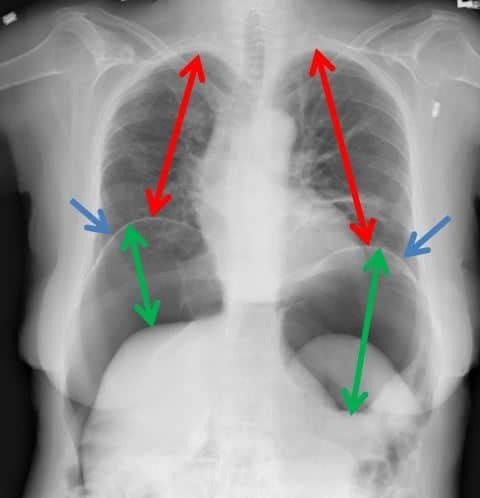 The green arrows show the extent of the intra-abdominal free air leading to elevation of the diaphragm (blue arrows). 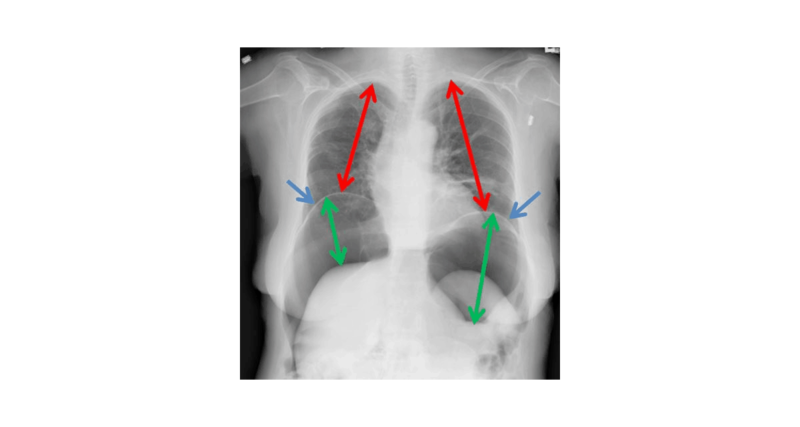 The red arrows represent the decreasing lung volumes on both sides as the diaphragm rises. Not long after this tragedy came to light in late 2016, I blogged about the early progress of the coroner’s inquest. Speculation on how this could have occurred centered around two possibilities—the patient somehow cross-connected the tubing himself or a caregiver did so. As I explained in my original post, it was hard to imagine a confused old man figuring out how to connect two very different types of tubing. The coroner came to the same conclusion. A nurse said she had seen a white connector between the green oxygen tubing and the brown catheter but did not know what it was or understand its significance. Reports said the evidence was “destroyed” before it could be examined. Ironically, he should not have been receiving oxygen at all. The doctor who admitted him testified he did not order oxygen for the patient. Previous accounts of what happened said a nurse disputed an entry under her name indicating that she had put the patient on oxygen claiming another individual must have written it when she had left but not logged off the computer. One thing is certain. Someone knows how this happened, and he or she will have to live with that knowledge forever. ADDENDUM on 8/17/17: Based on Coroner’s findings, oxygen flow rate changed from 15 L/min to 2 L/min. I just do not understand how the patient was not in agonizing pain. I linked to my original post in the one above. Here’s the url again https://www.physiciansweekly.com/a-tube-misconnection-and-a-death-a-medical-whodunit/. In that post, I mentioned that he must have had a great deal of pain. Media reports om the story say that too. He must have died from suffocation, a horrible way to go.